You searched for which does not fit your . We've redirected you to 130-1443, which has the proper fitment. Fits all MotorDog69 Challenge Coin mounts. 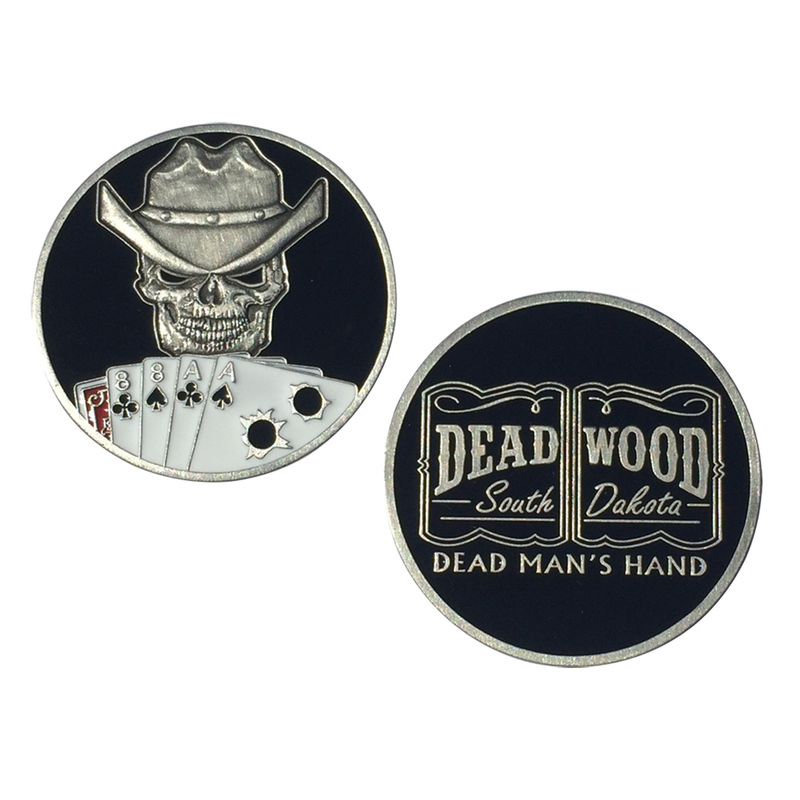 • The Dead Man’s Hand is a two-pair poker hand, also known as ″Aces & 8's″. • It gets its name from the legend of it being the five-card-draw hand held by Wild Bill Hickok at the time of his murder on August 2, 1876 in Deadwood, South Dakota.